I have only been to the northside one once and found the same about their service so then never went back. We used to go to the southside one lots, but their service started lacking too. SIGH! That eggplant is my favorite dim sum dish. I absolutely hate it when they use pork instead of shrimp, although that’s rare these days. I absolutely LOVE the eggplant dish (and its cousin, the green bell pepper one). It’s too bad about the service. What do you recommend as the best dim sum place in Edmonton? I still enjoy Mirama in Chinatown. Mirama is ok… service can be sucky if you get stuck in one of the corners of the restaurant. And last time we were there, they didn’t have any har gow until the very end of the meal (and we had to ask more than once if it was ever coming out of the kitchen). I used to really like Jumbo, but their dim sum quality has been getting more greasy lately. The dinners are still good though! Someone told me to go to Cha for Tea but the one time I was there I didn’t like the food. I probably should go back again to see if my first impression was wrong. Golden Rice Bowl is good but they jacked up all their prices. I’ve heard mixed reviews about Urban China but I haven’t had a chance to go there yet myself so I cannot say. Avoid Dynasty at all costs. They took over the old Century Palace/Marco Polo spot, and the dim sum was nasty. Noodle Noodle is okay but it’s expensive and if I was going to pay those prices I probably would go to Golden Rice Bowl instead. 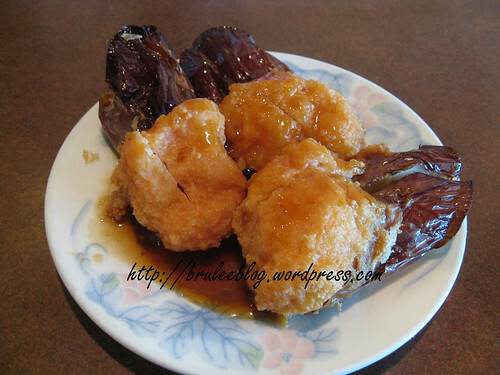 Oh wow….eggplant and shrimp! My mouth is watering at the thought – and the photo. Makes me realize I am due for some Dim Sum. Must make plans soon with my usual Dim-Sum Guide…she knows the difference between authentic Chinese food and ‘Chestern’ (that’s what I call westernized Chinese food).